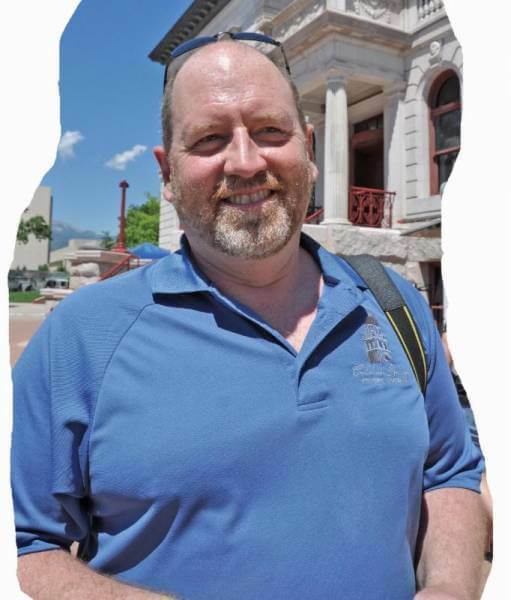 Matt Mayberry (pictured) has served as executive director of the Colorado Springs Pioneer Museum for the past 12 years. Located near downtown, the free museum helps keep the community’s unique history alive. Last month the museum hosted the second annual Colorado Grown Festival, with food trucks, special exhibits, permaculture demonstrations and urban homesteading classes on fiber arts, food preservation and much more. ANY SPECIAL FAMILY FOOD TRADITIONS? Philly cheese steak has become somewhat of a tradition that we do on New Year’s Eve. It started with some friends of ours who were from Philly. They’ve since moved back to Philly, but we are keeping the tradition going. Since I discovered the Philly steak meat at Ranch Foods Direct, I’ve been having a lot of fun with it. WHY DO YOU CONTINUE TO SHOP RANCH FOODS DIRECT? Nobody can beat the quality of the meat. It’s fresh. It’s local. Everybody who works there is always kind and friendly and has great suggestions. It’s kind of a local institution now the same way the museum is. WHAT IS YOUR VIEW OF THE PUBLIC MARKET PROJECT? I think it’s a great idea. So many communities have public markets now that are very successful, and I think it will be a very successful model in Colorado Springs. It would be great for me if on my way home from work I could stop somewhere downtown and pick up something local for dinner.